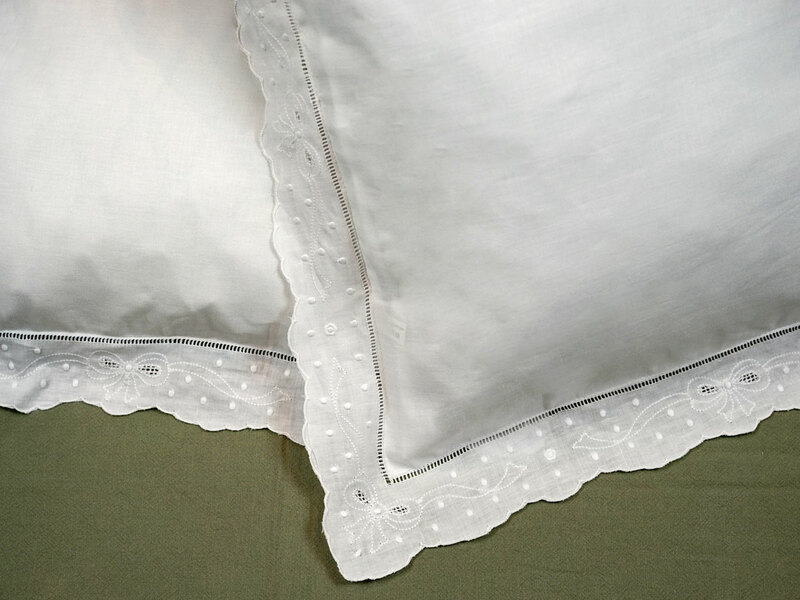 This is a set of 2 white pillow shams with scallop and bow edges. Each sham measures approx. 26" x 36" around the outside and will fit any standard or queen size pillow.